Explained: Why Japan arrested Nissan's Ghosn for the third time on Friday? Budget carrier AirAsia India Friday announced the induction of 20th aircraft in its fleet, making it eligible to fly on international routes. The Tata Sons-Air Asia invested joint venture airline also said it will add Mumbai in its network from early next year with the launch of daily flight services to the country's financial hub from Bengaluru, starting January 15. This will be Malaysian airliner group's third entry into the Mumbai market after discontinuing the services to the city first by AirAsia Berhad in 2012 and then by its subsidiary Indonesian AirAsia X in April this year. "We are pleased to make the much-awaited announcement of adding Mumbai to our network. We're also happy to welcome our 20th Airbus A320 aircraft to our fleet," Sunil Bhaskaran, chief executive officer, AirAsia India, said in a release. Launched in June 2014, AirAsia India is 51 per cent owned by Tata Sons, while the remaining 49 per cent stake are held by Malaysian no-frills carrier AirAsia Berhad. The delivery of the 20th Airbus A320 plane to AirAsia will help it launch flight services in international markets as well. Airlines were earlier required to fly for at least five years on domestic routes, and have a fleet of 20 aircraft before being allowed to fly international. Now, they can operate in overseas markets just by having 20 aircraft in the fleet or 20 per cent of total capacity (in term of average number of seats on all departures put together), whichever is higher for local operations, according to the 2016 civil aviation policy. Earlier, the airline was mulling overseas flights from 2019. 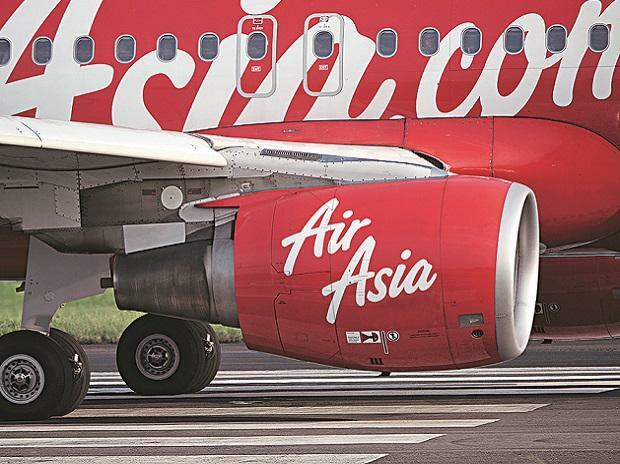 However, the airline is now going slow on its plans after the CBI launched a probe against AirAsia group CEO Tony Fernandes, Tata Trust executive and AirAsia India non-executive director R Venkataramnan for allegedly lobbying the government for international flight permits and violating rules that prevent foreign airlines from controlling an Indian operator.